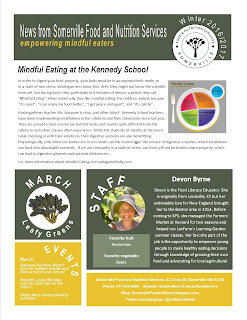 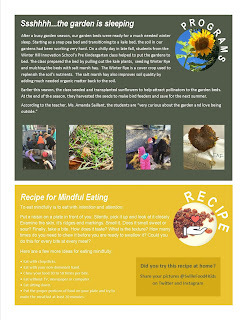 Somerville Food and Nutrition Services will be sharing a monthly newsletter. 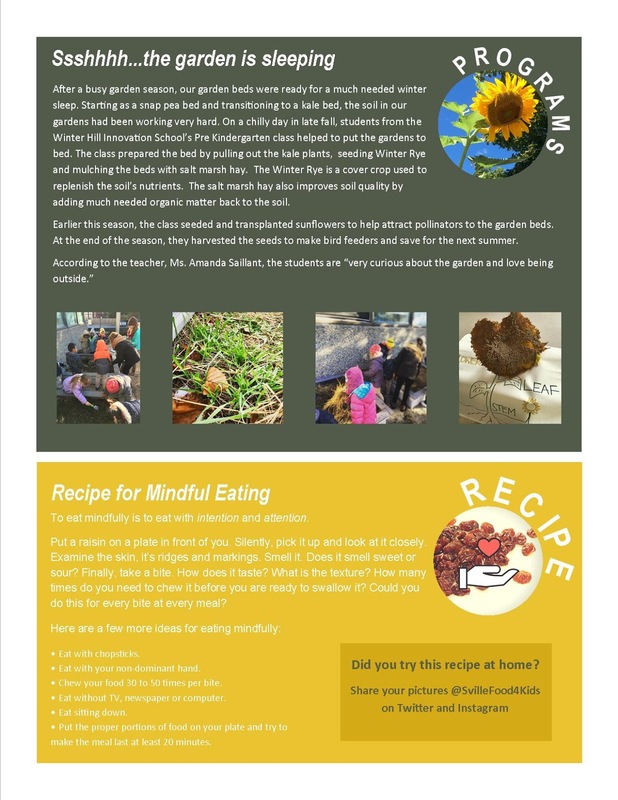 What will we share? 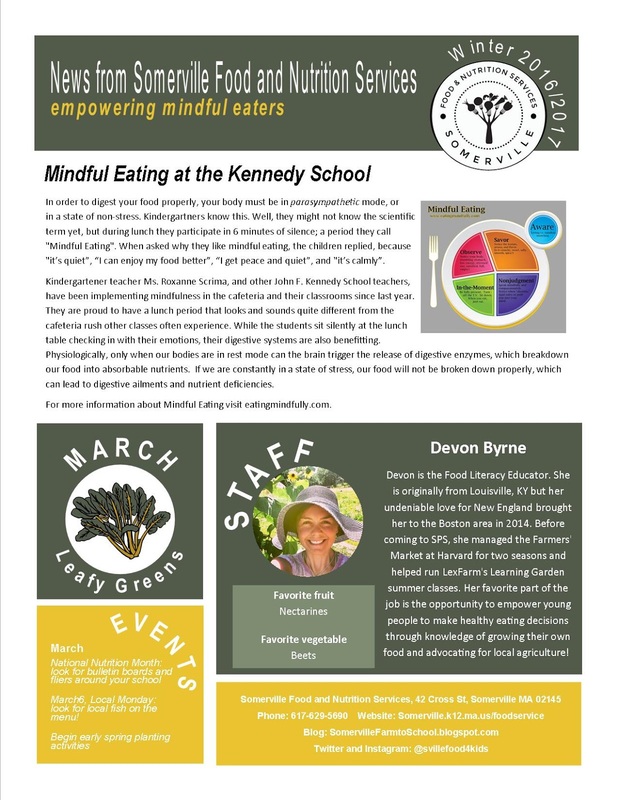 A behind the scenes look at Somerville Food and Nutrition Services, kid-friendly recipes for you to try with your family, pictures and information about our food literacy programs and tips for connecting your family with local food and agriculture.